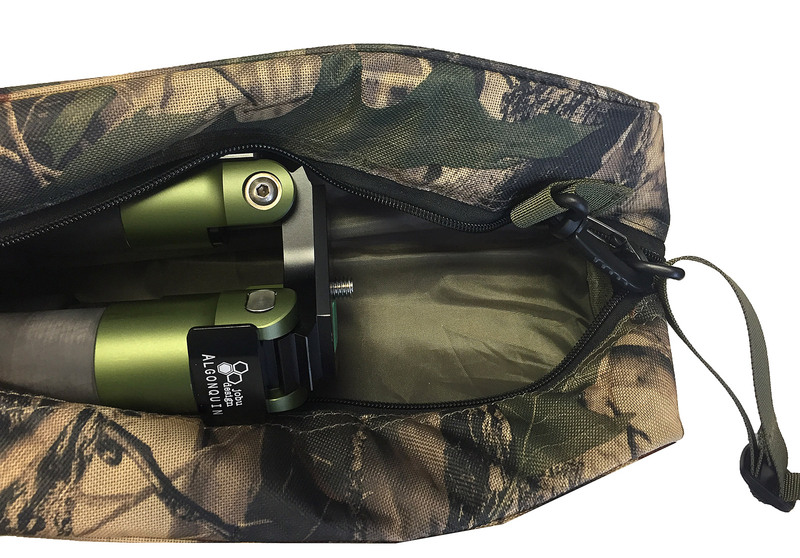 Jobu's newest bag for our tripods is the ideal case for your Algonquin tripod. It is just over 80cm / 31" long allowing the 28" folded Algonquin to snug in nicely with room to spare for a low-profile ballhead. There is not room for an attached gimbal head, we recommend removing them for travel. The bag is made of tough, padded, nylon with a smooth liner. Interior accessory pocket for lensplates and screws or small tools. 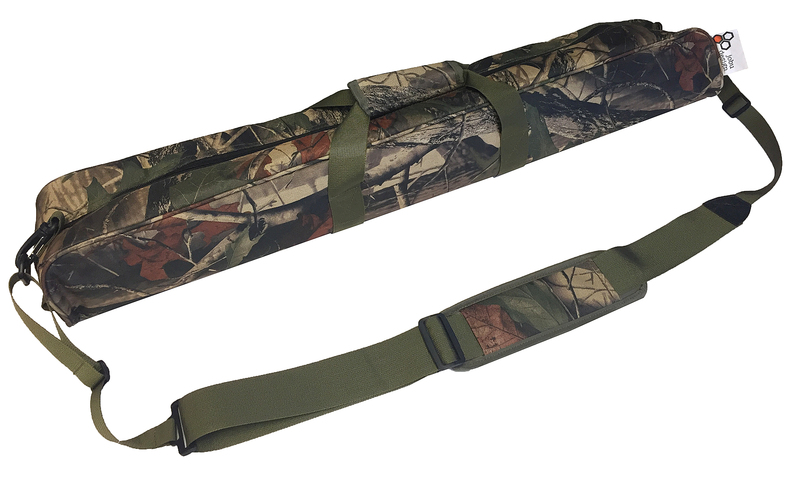 Super long strap with premium buckles allows you to carry the bag over the shoulder or on your back by adjusting the length. The shipping box for this is huge, so we've come up with some introductory pricing to include the shipping cost. For a limited time get the TBC-80 for $79CAD with no extra shipping cost in continental Canada or the USA.